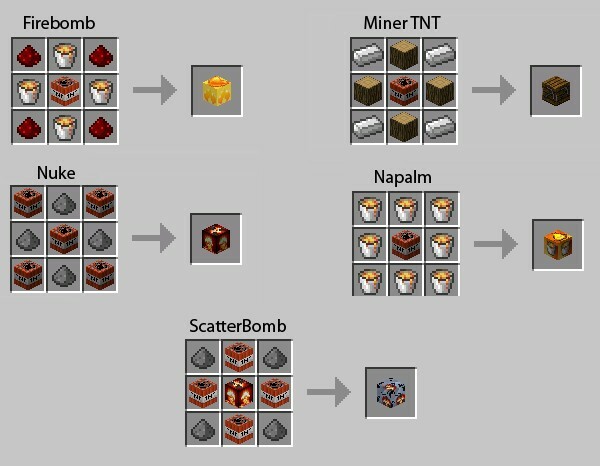 TNT Mod aims to provide many new types of TNT and dynamite for players to destroy everything. If you have played much Minecraft, you probably like destruction of something with TNT, this mod will be the best choice you should choose. TNT Mod has many extremely massive explosives, which are capable of destroying great areas. Some of other unique explosives has other functions such as digging up mines or building houses if you want. In addition, there are also many unique types of TNT and different bombs. Through those, you not only build impressive structures, but also change many blocks and much more. There is no doubting the fact that this mod is quite beneficial for you. It implements a whole of weapons into the game that you’ll have a delightful time. Nuke TNT: Solely for map destruction, does not spawn blocks.This has been revamped. Meteor: A bit stronger than C4, scatters lavabombs around. C4: A little stronger than TNT. BunkerBuster: Creates a deep hole. Sometimes down to bedrock. Hydrogenbomb: Slightly stronger than the Nuke. Projectile: Explodes after 16 seconds or if it reaches maximum velocity. Bundeled Projectile: Explodes after 8 seconds. Monderate about of destruction. Best used in a TNT Cannon. Supernova: Approximately 10 times more destructive than the ScatterBomb (spawns a lot of particles) Creates severe lag. You probably shouldn’t use this? TimeBomb: This bomb will explode at different times depending on the item used to activate it. 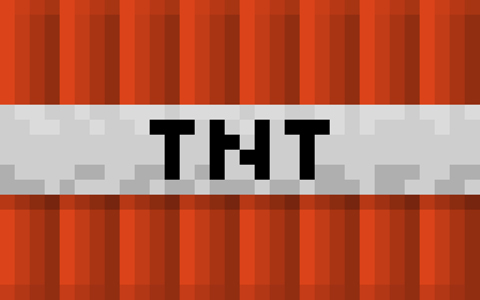 Download the TNT Mod from link below.